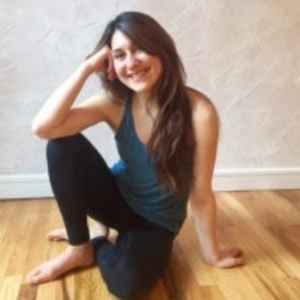 Join Giulia Pline from Threes Physiyoga. Learn the basics of controlled mobility. How to control your end range, create stability in all poses and movements, and develop tension within your body using your own deep stability system. There will be isolated core work, exploration and execution of “basic” yoga postures that are practiced in almost every vinyasa or hatha style yoga class (ex. tadasana, down dog, plank), and emphasis on stacking the body/bones for optimal function and efficiency in movement and breathing. Using the resistance bands as props for our poses, we will shed awareness and light to the areas in which we are underworking or disconnected to using the reference point of the bands for our own tensegrity. Workshop = $45. To register, click here. About Giulia Pline, YOGA TEACHER E-RYT 500: After years of dance, yoga, and both stress & trauma related physical injuries, Giulia realized that her own practice and teaching needed something more functional and contemporary than the traditional way she was practicing asana & vinyasa. This brought her to Threes Physiyoga, a method that merges physical therapy practices with yoga. This meshing of both eastern and western methods of moving, breathing, and healing helped her to discover not only her imbalances and strengths, but brought to light the way in which she sees and understand the body’s mechanics and the movement of her students. Yoga, like any other sport, has the ability to create stress related injuries because of the repetition of the movement and alignment in the practice. The body’s tissues do well with change and variation, an important concept to consider when developing any kind of movement practice.